Whilst packing for a couple of trips during the last month I realised that although I always have ‘Quick Fixes’ in my bag, I’ve never actually talked about them in that way. Odacite are an American brand based out of California and literally have something for every skin condition. There are 18 serum concentrates, for everything from dehydration to oily to sensitive to clogged pores and pigmentation, you will be able to find a quick fix of your own. 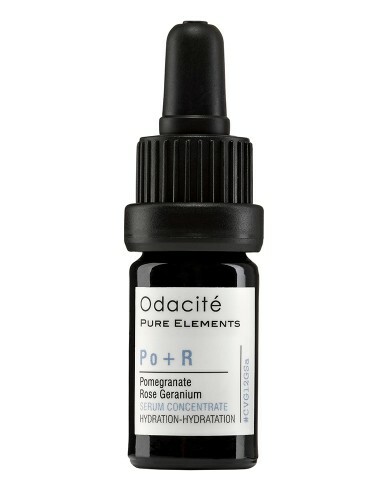 I’ve had this Odacite serum for a couple of months. I took it with me to Cornwall because I know my skin in the sun, and no matter how much I try and keep it plumped up, I always have some degree of dehydration. It’s inevitable. I applied a couple of drops to my face before moisturising and SPF in the morning, and sometimes reapplied in the evenings under after-sun or in my moisturiser. For me, the effect of the Po+R Hydration serum is immediate. Skin glows, looks plump and is the closest you will get to the ‘just walked out of a facial’ look with the least effort. All of the Facial Serum Concentrates use organic, cold-pressed oils and can be used either as an intensive treatment or simply to ‘fix’ a temporary situation, such as monthly hormonal spots. The products are made in small batches to ensure freshness, are preservative-free and come with their own ‘Freshiency Date’, as opposed to the traditional expiry date. The Hydration Serum Concentrate is £33.00.